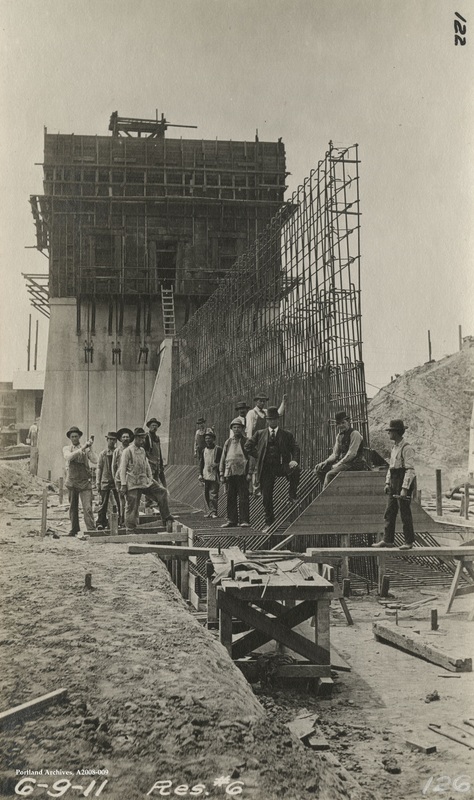 City of Portland (OR) Archives, Reservoir 6 construction, A2008-009, 1911. 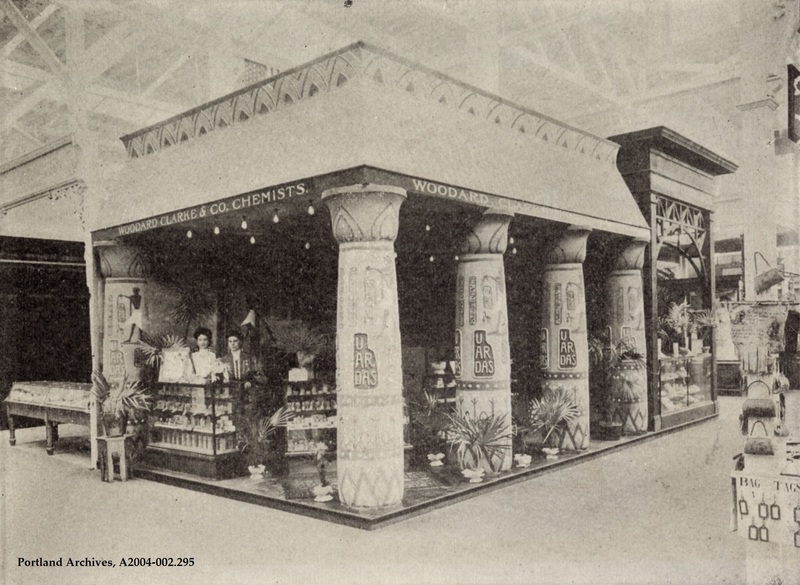 An exhibit in the Liberal Arts Building at the Lewis and Clark Exposition, 1905. City of Portland (OR) Archives, A2004-002.295. 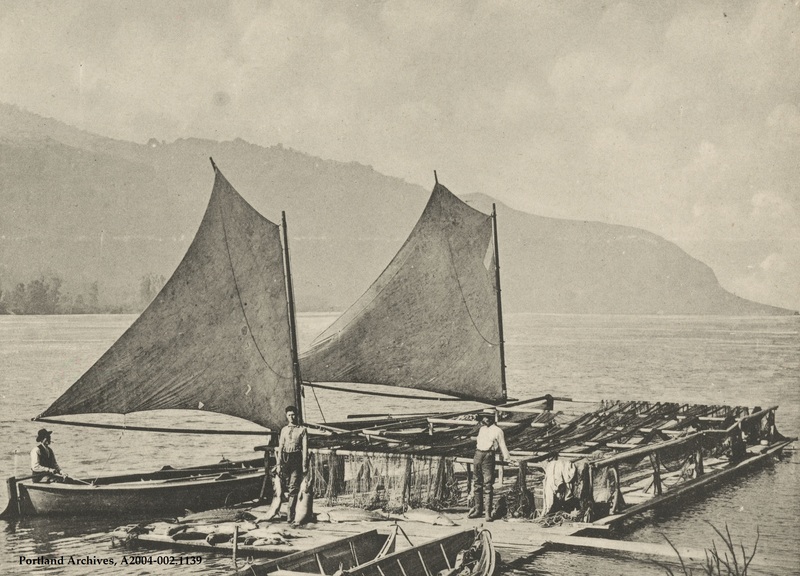 Gill netting on the Columbia River, 1900. City of Portland (OR) Archives, A2004-002.1139. Mt. 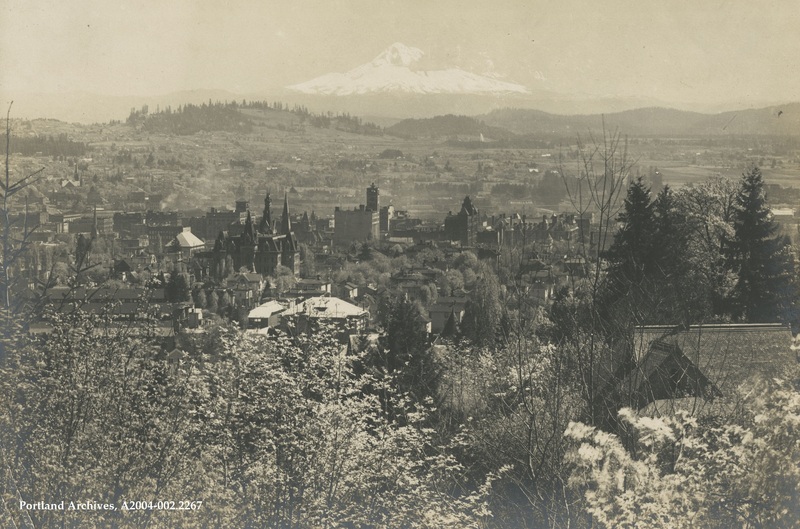 Hood and downtown Portland from the west hills, 1897. City of Portland (OR) Archives, A2004-002.2267. 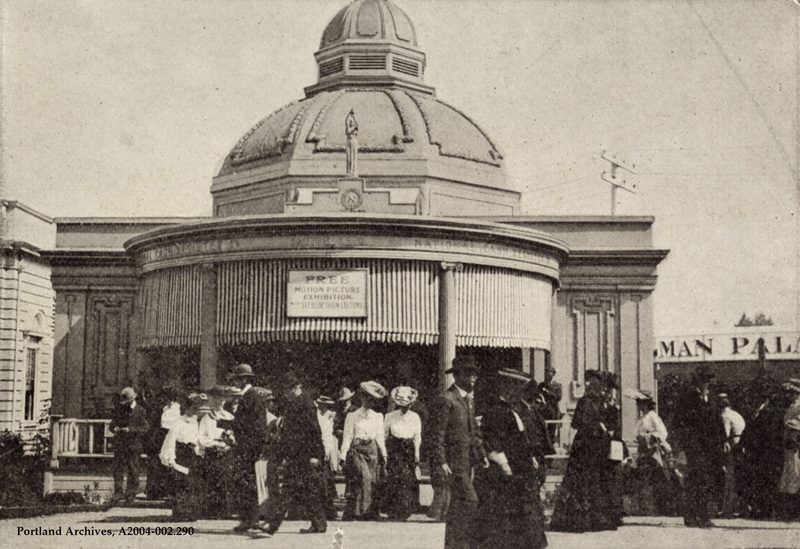 The National Cash Register Company’s Lecture Pavilion at the Lewis and Clark Centennial Exposition, 1905. City of Portland (OR) Archives, A2004-002.290. 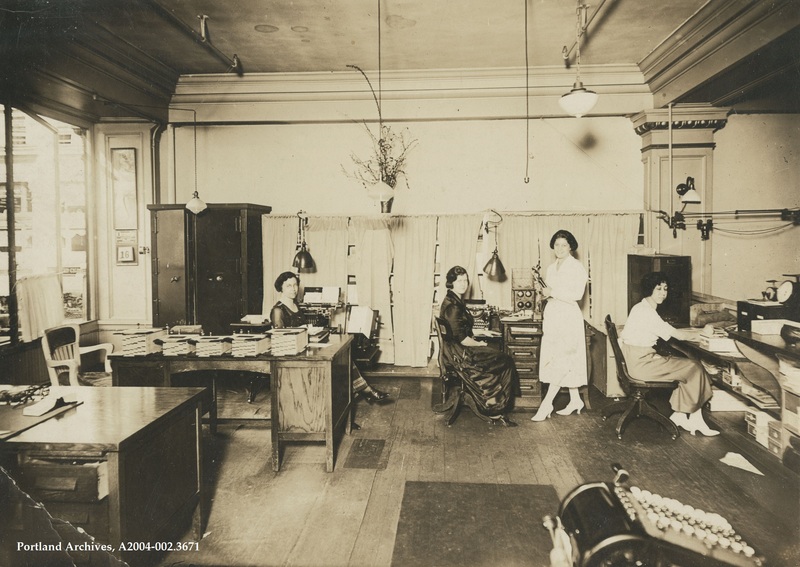 Knight Shoe Company office staff, 1921. City of Portland (OR) Archives, A2004-002.3671. 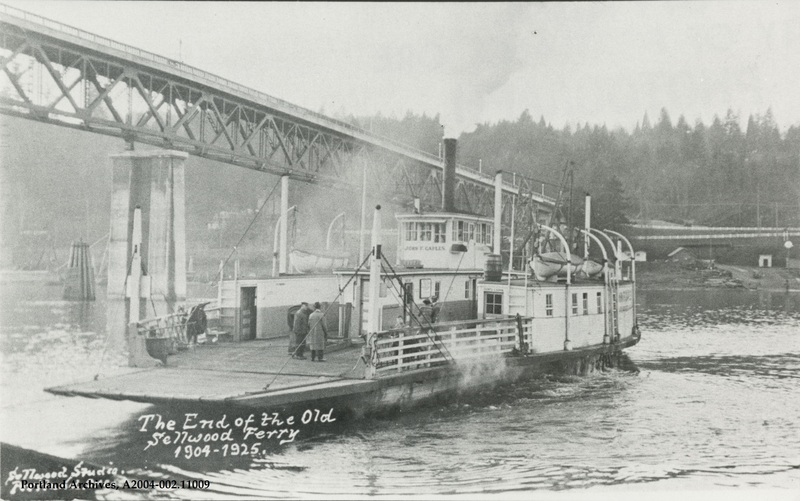 The Sellwood Ferry, circa 1925. City of Portland (OR) Archives, A2004-002.11009.